Sugar Cream from All-in Medicinal Seeds is originated by crossing the Northern Lights x Caramel Cream, which is a spectacular crossing. 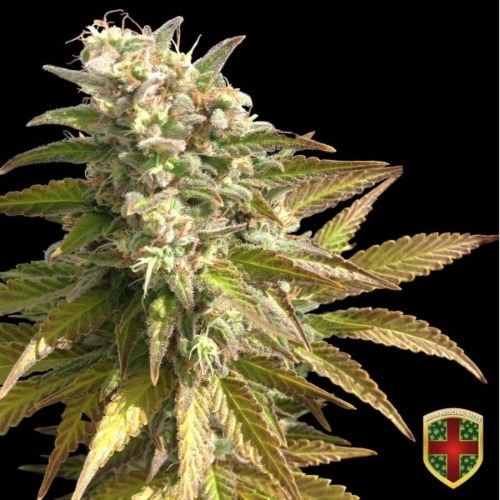 These feminised cannabis seeds ensure stable weed plants that contain Indica dominant genetics. All-in Medicinal Seeds Sugar Cream are weed seeds that are suitable for an indoor grow and outdoor grow. This weed plant stays quite short and compact, which makes her extremely suitable for an indoor grow or a grow at the balcony when you have little space available. The effect of smoking this weed is a high in which you experience a relaxed feeling in body and mind. She has a fruity nuts taste that creates a nice taste experience. Because of the high content of CBD and THC this weed plant is very appropriate to use as medical cannabis seeds. Growing cannabis from these feminised cannabis seeds give everyone the chance to create her own powerful and medicinal weed. Tell us and our customers what you think of the Sugar Cream from All-in Medicinal Seeds.